Soya bean is a heart-healthy nuts. It is a source of lean protein that is packed with nutrients. 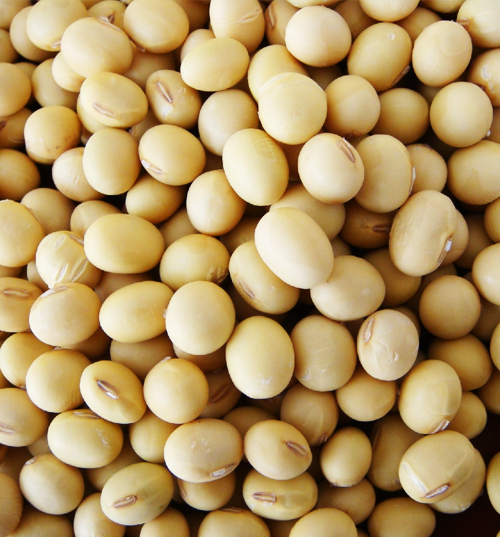 Soya bean is rich protein, person who is vegetarian, they can get protein from soya bean. Soya bean is vegetarian food, which is very much rich in protein. Person has to eat soya bean at least once in a week. You can add soya bean in your regular diet in the form of vegetable or can be added in floor. The soya bean is very effective in regulating blood glucose level. It is attributed to Isoflavones, which are present in soya beans. Isoflavones lead to increased insulin secretion, a better glycaemic control and antioxidant protection. It is proved in research that soy protein is equal to other lean proteins in aiding weight loss and helps in maintaining lean body mass. Soy and its products like tofu, nuggets, granules, soy nuts and unflavoured soy milk helps to lower not only glucose levels in the blood, but is also beneficial in reducing blood cholesterol levels. Because of its high protein content (9 gms protein in 20 gms soya), it is a good replacement for animal protein in vegetarians. At least 25 gms of soy protein in a day that is about 60 gms (1 soup bowl) soyabean (raw). A great high fibre, high protein snack to munch whenever you feel hungry! They are also great on a salad to give some extra crunch! Soak beans in water for 8-12 hours. Be sure to use enough water, as the beans will expand to about 3 cups. Rinse the beans and blot lightly with paper towel. Bake at 350 0F, stirring after 15 minutes. Stir beans and return to oven, baking and stirring every 5 minutes until soya beans are golden brown and crunchy. The amount of time to attain crunchy soy nuts will depend on the moisture of the soaked beans. It usually takes a total of 25-30 minutes.